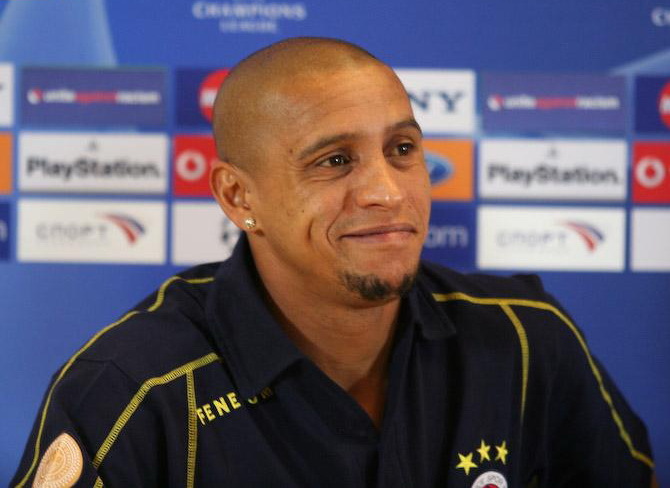 An expected appearance by former Brazil and Real Madrid superstar Roberto Carlos as the new Delhi Dynamos manager has set the 2015 Indian Super League preseason alight. Carlos, 42, seems set to join the Delhi outfit as a manager for the upcoming season. Delhi Dynamos have not yet officially confirmed Carlos has joined the squad, although the deal is said to be effectively signed, with coach registration deadlines for the new season already passed on Wednesday this week. The news come amid rumours that a Real Madrid-Delhi Dynamos partnership may be seen in the upcoming ISL season. Such a deal, that would rival the likes of Atlético Madrid’s ownership of Atlético de Kolkata, would be another huge win for the new ISL competition, following the signing of marquees in the inaugural season including Alessandro Del Piero. Roberto Carlos is expected to replace current Delhi Dynamos coach Harm van Veldhoven, who led the team to a 5th place finish in the first ISL season. Carlos made his first appearance for Brazil in 1992 before going on to represent his nation in three World Cups, including winning the competition in 2002, along with two Copa América titles in 1997 and 1999. Carlos is famed in the football world for his incredible bending freekicks, earning him the nickname el hombre bala (“the bullet man). Here’s a clip of one of his most famous free kicks, an incredible 38-yard effort against France in 1997 often labelled as the best free-kick ever.